This Saturday was my latest upcycling workshop and was through the North Vancouver District Library. The workshop took place at the Capilano Branch in Edgemont Village - my old haunt growing up in North Vancouver. I had a ton of prep work to do. 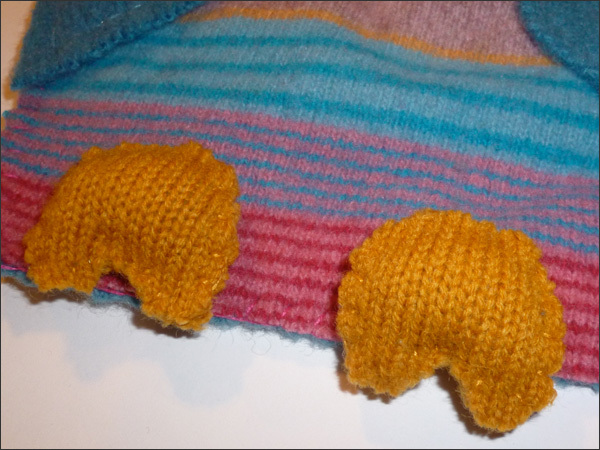 I worked on a few ideas for old wool sweaters which meant I got a bunch of sewing done beforehand. Fun! 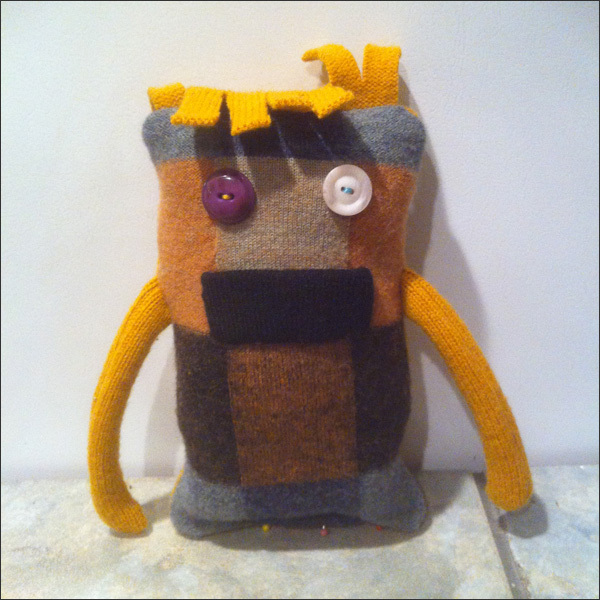 First off I made more 'creatures' or 'stuffies'. I made the cat before going to Cuba. 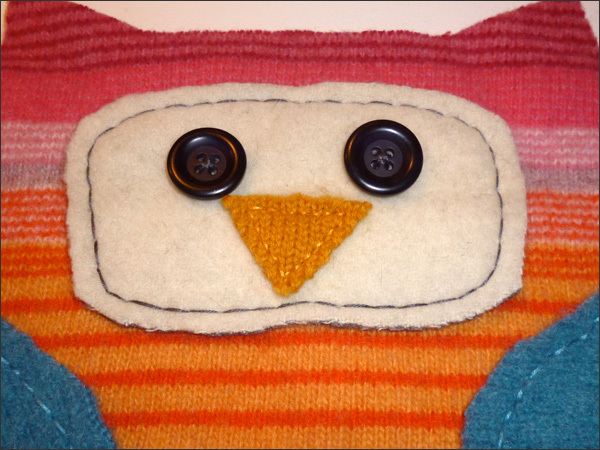 Next I made a cute owl using a couple of different sweaters. 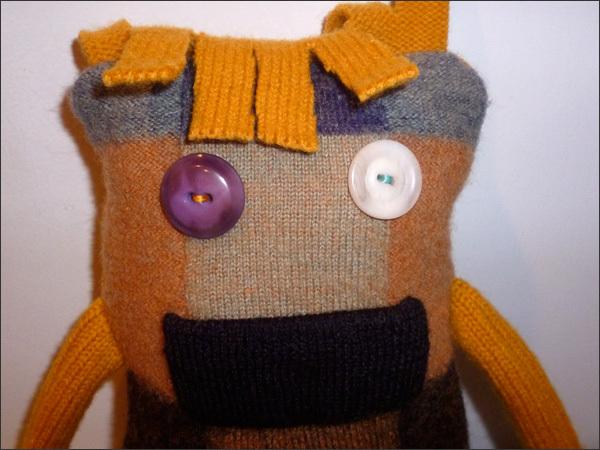 First I cut out the wool then created the face using wool and old buttons. 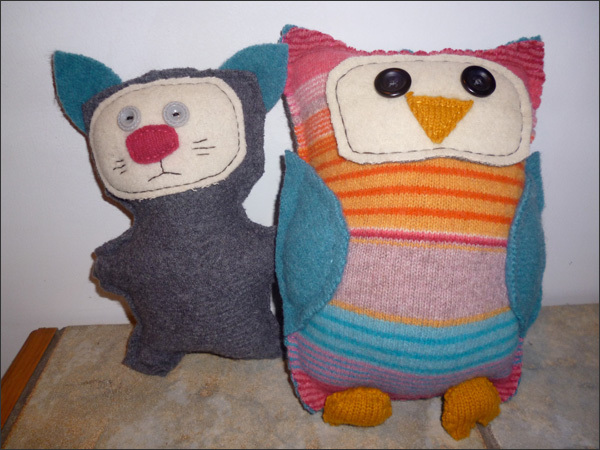 Then I made feet that I stuffed with eco fill then sewed to the front of the owl. 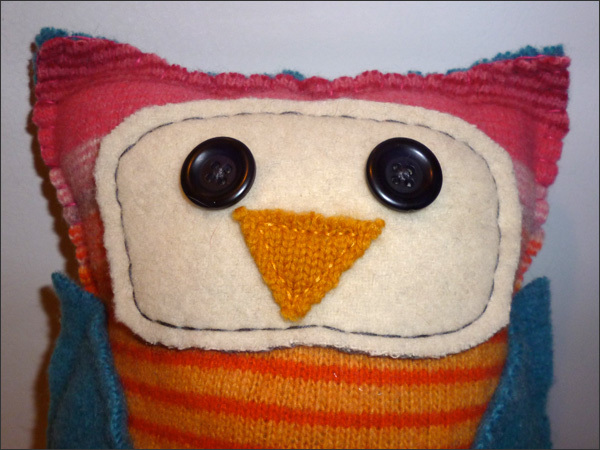 After stitching the face and wings then adding the feet, I stitched the front and back together. The back has a pocket for storing things. 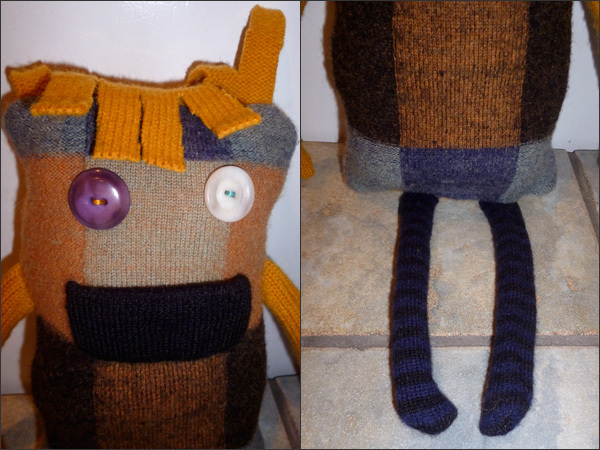 Next I created a monster... With funky hair, crazy arms and legs... Love this guy! 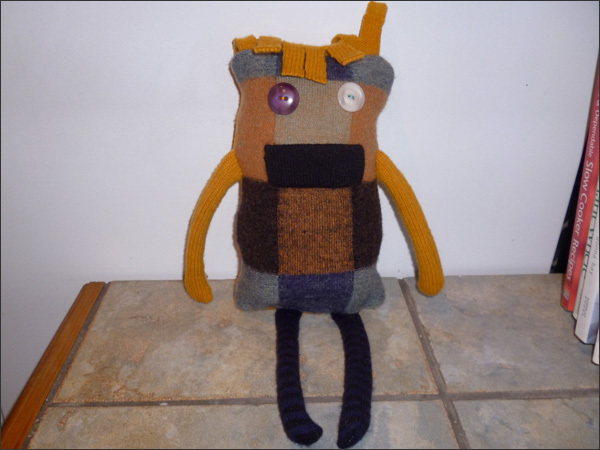 Here he is before I added his legs... Looking super cute! 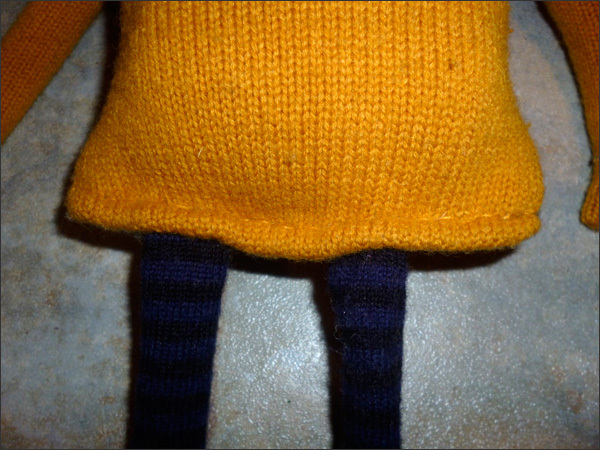 I added eco fill and the striped legs then stitched up the bottom. Check out the face and legs of my monster. So darn fabulous! And here he is all done. Yay! 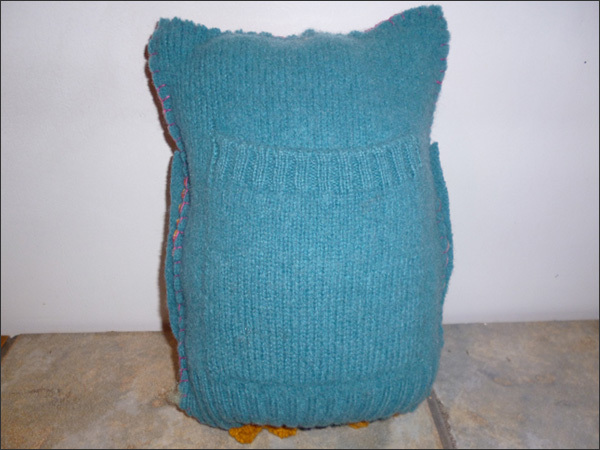 Next I'll post a few more projects using wool sweaters. Love my stuffies and all of them found happy homes.